Posted on Thursday, March 19th, 2015 at 7:24 am. As Saul “Canelo” Alvarez begins to garner some traction in the United Sates becoming more popular with each fight, he has been a major star in his native Mexico for years. Controversy and a love affair got him there. The love affair came first when he entered in a relationship with the beautiful Marisol Gonzalez. Gonzalez is a top Mexican model and TV sports personality for the biggest TV network in the country, Televisa. Their union was one made in fairy tales. The young successful on the rise boxer and the slightly older and sophisticated model get together. The relationship was very public and you could find a photo of the happy couple in all the major Mexican tabloid weeklies and their face on Televisa as the professed their love for each other. They went as far as to get engaged and there were talks of the network broadcasting their wedding. Suffice to say, the relationship didn’t last. They each went their separate ways and she climbed the social ladder marrying one of the most prominent soccer players in the country, now retired. Mexico loves their boxers but not more than their soccer players. The controversy came later when Alvarez allegedly attacked fellow boxer Ulises “Archie” Solis in their mutual hometown of Guadalara, Mexico back in 2011. Shouldn’t be that much of an issue, right? After all, they are both boxers. The trouble is that it didn’t happen in a ring and Alvarez outweighs Solis by about 45 pounds on a good day. The altercation came from Alvarez’s taken umbrage of Solis making advances to the mother of his young daughter. Solis suffered a broken jaw and a broken tooth. Alvarez was constantly in the news because of it since Solis pressed charges and the government even ordered an order for arrest of Alvarez who was training in California. Needless to say, no criminal charges have yet been brought against Alvarez although Solis has pursued a civil case. Soon Alvarez might be in the news once again for his exploits outside the ring. The truth of the matter is that Golden Boy Promotions is not his first U.S.-based promoter. 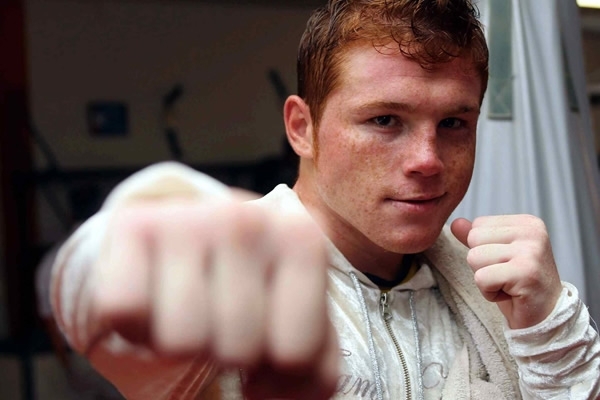 Turns out the first to discover the red-headed fighter on this side of the border was little known All-Star Boxing led by Tuto Zabala Jr. Zabala Jr filed a lawsuit against Golden Boy Promotions and Alvarez in 2009 for illicit tampering and for breach of contract. Alvarez jumped ship without letting All-Star Boxing know or Golden Boy Promotions negotiating with the Miami-based promoter who had a viable contract with the then nineteen year old. Golden Boy has tried numerous times to settle out of court with Zabala Jr but he held off knowing he had a good chance of winning a suit. He has his chance on June 22nd when the trial begins in Miami. Zabala Jr blames Richard Schaeffer for the disagreement but now Oscar De La Hoya must pay for his former CEO’s mistakes. Zabala Jr expects the trial to take a week. The ramifications might last longer than that. WHO IS NEXT FOR “CANELO” ALVAREZ? ROBBERY AT THE MGM GRAND, WHAT ELSE IS NEW? NO “GOLDEN RULE” AT GOLDEN BOY?